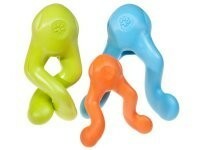 This cleverly designed treat toy for dogs has multiple functions. Stuff its compartment full of dog's favourite treats and twist the handles to keep dogs busy working to get the treats out. After the dog has figured out how to dig out their dinner, toss it in the air for a fun game of fetch. 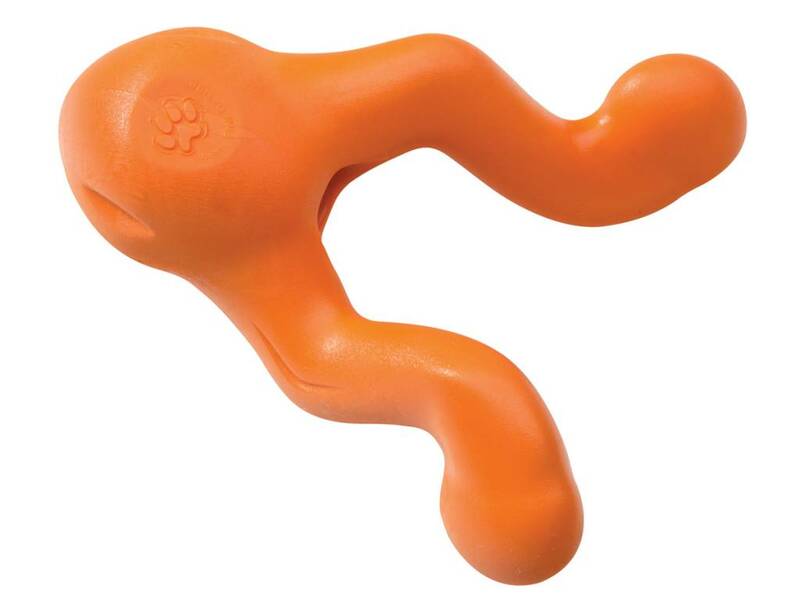 The aerodynamic shape makes it fly further than typical treat toys and is terrific for tug-o-war.